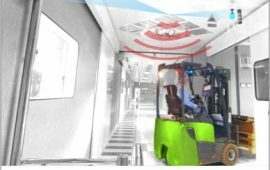 As a technology-driven company, at CLAITEC we specialise in the implementation of industrial safety and accident prevention solutions. Our product range consists of several safety systems that can be customised to suit the needs of each company. 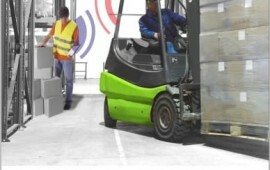 16.7 % of all work-related accidents are caused by forklifts. The minimum cost per day not worked amounts to €1,500. 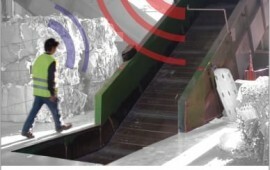 · Improved levels of accident prevention in high-risk areas. · Increased control of visitors to the work area. 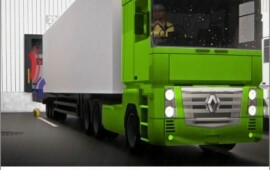 · Protection of personnel and assets by preventing accidents caused by vehicle collisions. · Superior differentiation between material obstacles and people than other suppliers’. · Reliable and easy to use alarm systems. 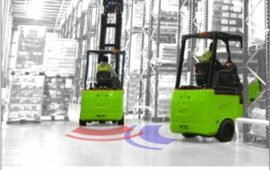 · Customised pedestrian and forklift operator’s warning systems. · Improved overall company’s safety standards. · Simple installation by CLAITEC or any local installer. 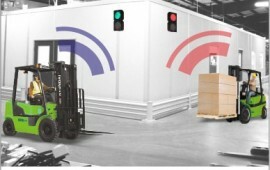 The Truck Docking System (TDS) minimises any potential risks of harming personnel in forklifts and loading docks. 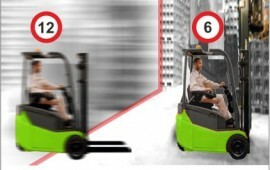 The Narrow Aisle Safety (NAS) solution minimises the risks of collision between forklifts in narrow work spaces. 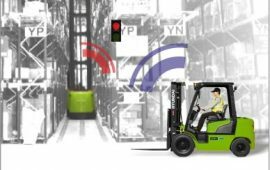 The Claitec’s Collision Avoidance System (CAS-G2) minimises the risks of collision between forklifts. 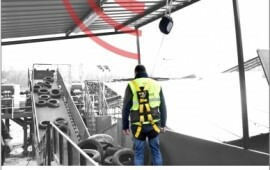 The Fall Protection System (FPS) prevents falls when working in hazardous areas. 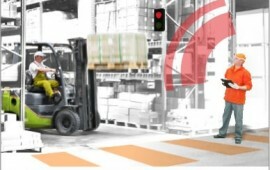 The TCS (Traffic Control System) it's a solution to segregate pedestrians and forklifts in common work areas. © 2019 Claitec Solutions S.L. All Rights Reserved.